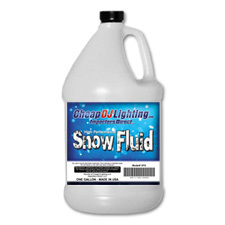 Snow fluid gallon - For use with: All snow or foam machines. � All fluids have been certified as NON-TOXIC when utilized for intended use. � All bottles are foil - heat sealed preventing any possible fluid leakage. � All cartons are heavy duty - double wall construction approved by UPS, FEDEX & AIRBORNE. 1/2 Off Sale on Snow Fluid. 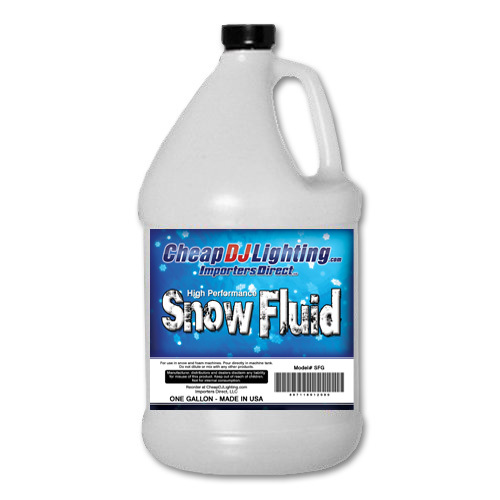 Buy Snow fluid here for $14.99 and save.